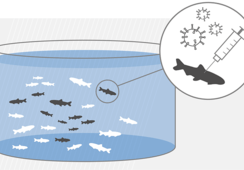 AquaBounty's genetically-engineered fish grow more quickly than conventional Atlantic salmon. Photo: AquaBounty. 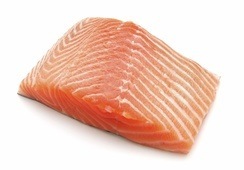 Transgenic-salmon farmer AquaBounty has announced a second public share offer within the space of three weeks. The Massachusetts-based company anticipates raising gross proceeds of $5.75 million from the offer, which is expected to close on or about April 9. 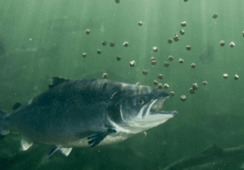 The share sale follows news earlier this week that AquaBounty had been given the green light for the commercial production of its AquAdvantage salmon at its Rollo Bay facility on Prince Edward Island, Atlantic Canada. 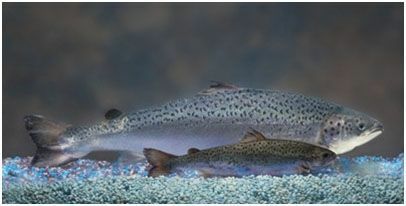 In March AquaBounty raised around $7.5m through a share sale following the US Food and Drug Administration’s decision to allow the company to grow and sell its genetically-engineered AquAdvantage salmon in the United States. AquaBounty said the March issue raised working capital for growing its first batches of fish at its on-land farms in Albany, Indiana and Rollo Bay and for other general corporate purposes. Money raised from the current sale will fully fund the process. The company is offering 2,554,590 shares at $2.25 per share, the same price as the shares sold in March. 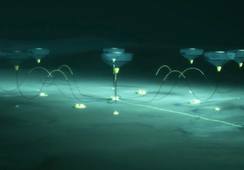 It has also granted the underwriters of the offer a 45-day option to buy up to 383,188 additional shares at the same price, less underwriting discounts and commissions. The Rollo Bay site was approved for use for AquAdvantage salmon production by Environment and Climate Change Canada (ECCC). 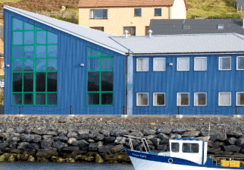 AquaBounty said it will begin stocking at Rollo Bay as soon as possible with the first harvest of AquAdvantage salmon – which are quicker growing than conventional Atlantic salmon - estimated for the final quarter of 2020. This is similar to the timing of the first harvest in Indiana.